304L grade stainless steel has many of the same mechanical properties of 304 stainless steel; however ,this grade is an extra low-carbon variation. It has .03% maximum carbon content which helps to remove the carbide precipitation that occurs during the welding process. Because of these characteristics, the 304L stainless steel alloy can be used in the “as welded” condition, even in highly corrosive conditions. Other than this slight variation in its composition 304L stainless steel is used is many of the same applications as 304, and tends to be as commonly found. 304L has very good formability. Because of their low yield strength and high elongation this alloy can easily form and bend into complex shapes and figures. 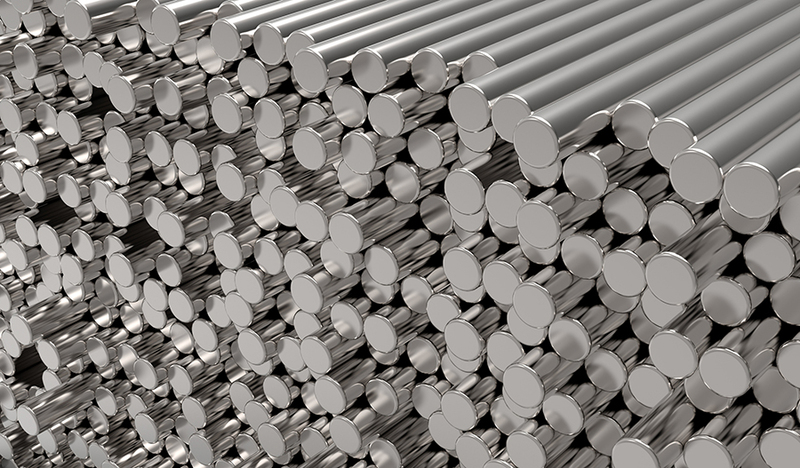 304L, as well as 304, are the most common alloys in the stainless steel class. 304L stands up well in highly corrosive environments such as chemical, textile, and food industry exposures. Although 304 can be used in most industrial applications, most commonly it can be found present in: food processing equipment, kitchen equipment, architectural paneling, railing & trim, heat exchangers, threaded fasteners, springs, braces, marine, etc.